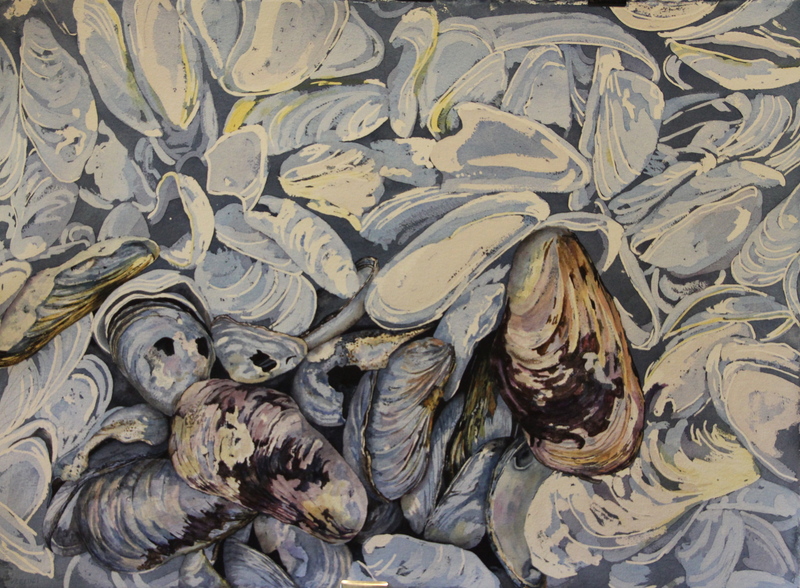 Think back… way back to the spring when I first posted two WIPS of poured paintings of mussel shells. I completed one and let the other, well rest. Somehow, once I get to about the first third of a painting I seem to set it aside and then finish an earlier piece. this time is no exception. With Maritime Blues II recently back from the framer, I decided it was time to finish this piece. What I love about this painting is I can pick it up at any time, work for a few hours and them come back to it. I have a goal to complete at least two shells pre day until I can call it finished! 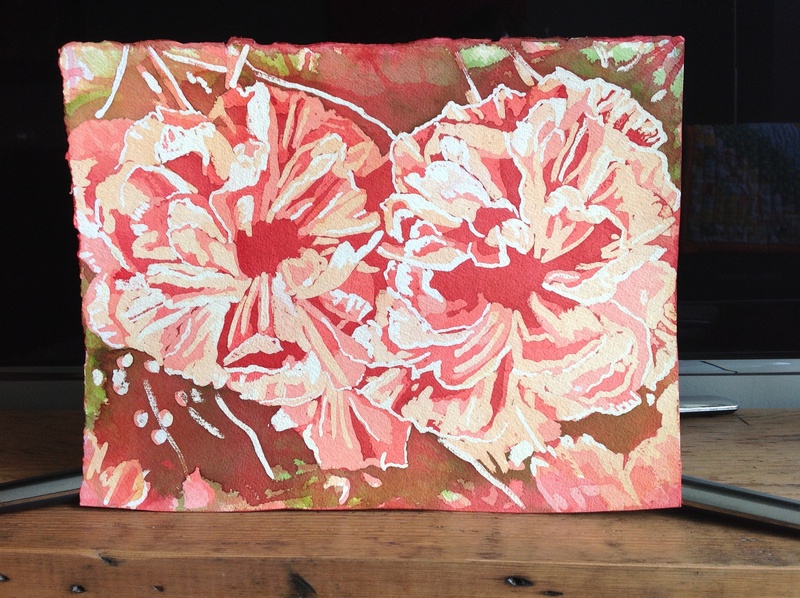 I am loving the colours and textures – feeling quite adventurous with all the mauves and bits of pink. 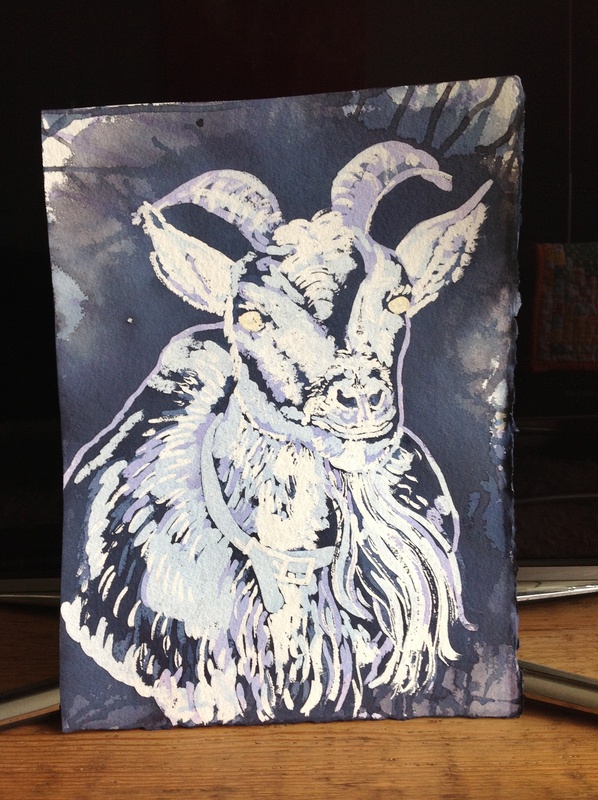 This photo is showing the work darker than it really is – I will shoot the next update in better light!